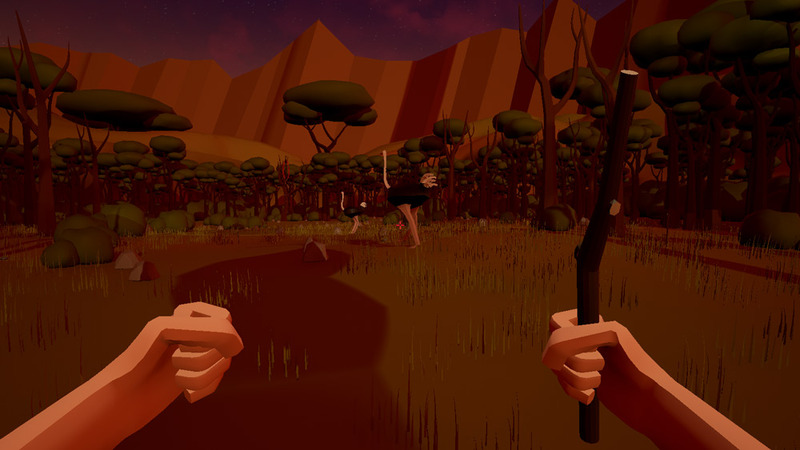 "An adventure survival game where you get attacked by Ostriches!" Ostracized is a game where you play as a crash landed pilot alone in the African wilderness and you must try to make your way to find someone or someway to make contact with civilization and escape the wilderness. Throughout the game you will have to come up with creative ideas as to how to overcome obstacles such as ravines and the most common enemy of the game which is…Ostriches! That’s right you will have to fight off Ostriches during the course of Ostracized and you will need to find and craft weapons not just for self-defense but also for tools to use to create other items that you will need to progress. 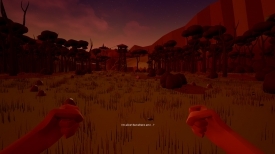 The overall look of the game is kind of conflicting long distance shots looking over the wilderness to the horizon can be absolutely beautiful especially in the constant twilight of the red sun that stays permanent in the game, however up close the graphics can be very blocky and look a little under done. There are quite a few bugs or perhaps just parts of the game that could be improved the control system such as picking things up does not feel natural at all and can take some time to get used to, there was also some problems with climbing up ladders as the speeds when going up them can vary a lot a lot. Ostracized has a lot of potential and it’s a fun survival game but there is definitely quite a few areas that could be improved in the game however it is free so you can’t complain too much! You can download Ostracized here for free.